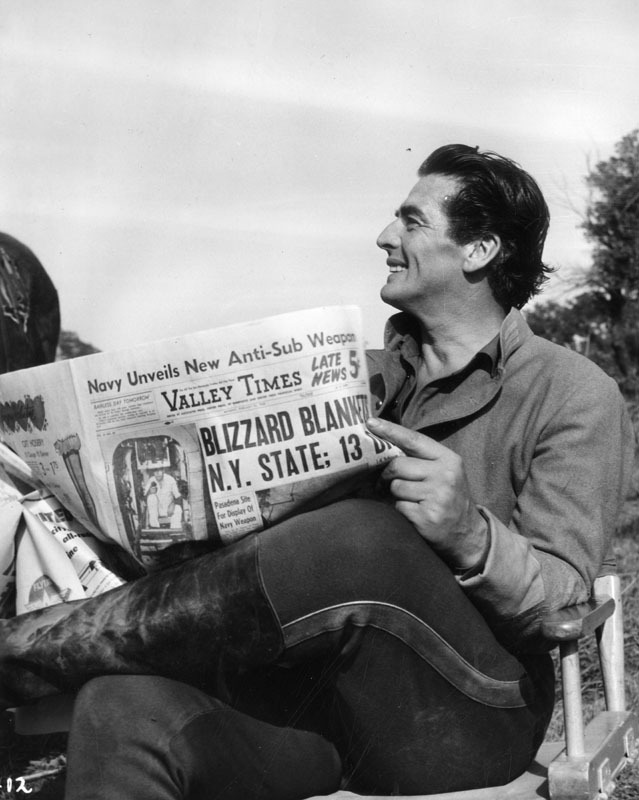 Actor Victor Mature keeps up with news as he reads Valley Times between takes on location for western film on Berry Ranch in Chatsworth in 1958. The Valley Times photo collection contains approximately 45,000 images taken by the newspaper’s staff photographers, covering communities throughout the Valley from 1946-1970. When the newspaper folded in 1970, the photo collection was auctioned off and eventually purchased by the Security Pacific National Bank. The bank donated its substantial image archive to the Los Angeles Public Library in 1981, which included the Valley Times collection. The Valley Times collection is a snapshot of the post-War suburban growth that was indicative of cities throughout the country and for which the San Fernando Valley was a model. All aspects of this growth are represented in the collection, including local land development, business, politics, youth culture, social organizations, sports, religion, civil rights, and specific industries such as aerospace, real estate, banking, and motion pictures.